It seems like yesterday that yoga was something that you associated with India and not one of the most popular forms of exercise all over the world. The past few years or so have seen a monumental rise in the popularity of Yoga. It is being practiced by millions of people all over the world and has also found a strong footing in America. While the benefits of practicing yoga are many, women often prefer it, since it helps them maintain their figure. 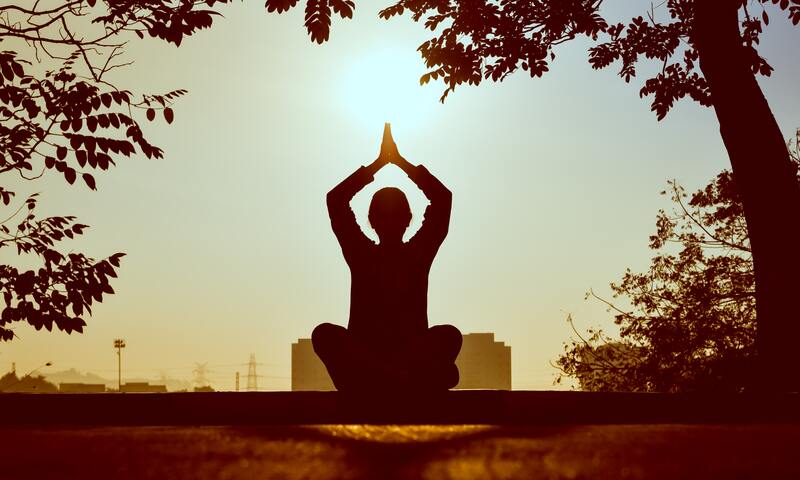 Yoga is a great way to keep yourself in shape and here are five ways through which yoga can help people maintain their figure. One way yoga can help you maintain a fit body is through helping you build muscle strength. While other forms of physical exercise, like the ones that involve weights and weight machines, build your muscle strength by training you to carry the different weights, yoga does the same by teaching you how to carry the weight of your own body. Yoga teaches you about carrying and holding the weight of your own body which helps you build muscle strength. Yoga positions that involve standing on your head not only make you incredibly flexible but also contributes to your fitness. Having lean muscles means that your body is slimmer and fit without having to go on any crazy diets to lose weight. We all know how bad posture can impact a person. A bad posture ruins a person’s whole personality as the person looks slouchy and unkempt. A surprising benefit of yoga is that it can help you completely change your posture for the better. Daily yoga puts your body to test by stretching and toning your muscles. Yoga requires people to hold certain poses for certain amounts of time which helps in correcting posture. Once you start practicing yoga, you will start to notice how you walk a little taller or stand up a little straighter than you used to before. It also makes you super flexible as you contort your body into different positions. Bad posture also has an effort on our figures as slouching makes belly fat more prominent or makes the breasts look saggy. By improving your posture, you are in a way of improving your figure. For most of us, exercise is the best way to get rid of all the extra fat that we have been lunging around. Whether it’s the tummy flab leftover from our binging spree of Thanksgiving or the love handles we have developed over years and years of unhealthy eating, exercise can help us get rid of it. The best part is that if other forms of conventional exercises don’t work for you, you can easily use yoga or waist trainers to lose weight. Yoga is all about being one with your body and seeing it in a new light. Studies have shown that people who practice yoga are more mindful of what they put in their bodies and adopt a healthy lifestyle. Once you start practicing yoga, you will appreciate your body for all it is and start taking care of. Another surprising fact about yoga is that this form of exercise is as apt at losing weight as other forms of high-intensity workouts. Practicing yoga daily has a profound effect on your metabolic system which helps regulate the intensity at which we burn fat. Yoga helps speed up the metabolic processes in your body which lead to your body burning fat at a higher rate than before. Hormonal Imbalances, which are often a high contributor to weight gain can also be corrected through the practice of yoga. Daily yoga sessions help correct those imbalances which in turn leads to a normal weight gain pattern. Yoga helps your body lower down the release of the cortisol hormone which leads to the feeling of eating more when your body is stressed. By lowering down the release of this hormone, your body won’t be inclined to reach for unhealthy food every time you are experiencing negative feelings. A fit body means a body that has ample energy to complete all the tasks it wants to. People often think that they will feel tired and full of fatigue after exercising but exercising benefits them in the long run by increasing their energy levels. Just a few minutes of yoga every day can create a huge difference in your energy levels throughout the day. You will have more adrenaline, you will get less tired and you will be able to work more. Different yoga poses can help you achieve more energy throughout the day and help you remain fresh for a longer period of time. Yoga is one of the most amazing forms of exercise that there is which not only impacts your body but impacts your mind too. If you want a risk free way to maintain your figure then yoga is the way to go.